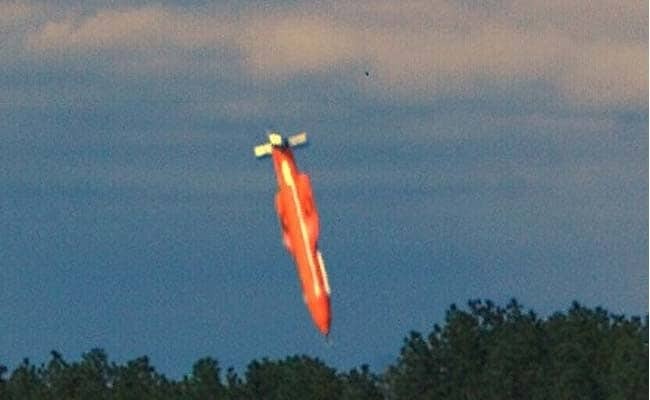 Kabul, Afghanistan: As many as three dozen militants with the radical Islamic State group were killed when U.S. forces dropped a 22,000-pound bomb on their hideout in eastern Afghanistan, defense ministry officials said Friday. The strike, which marked the first use of the GBU-43, the U.S. military's largest non-nuclear device ever used in combat, followed weeks of clashes between the militants and U.S. and Afghan forces in Nangarhar province. Afghan officials said no civilians were reported killed, but the revelation that late Thursday's strike targeted just 36 fighters is likely to raise further questions about the decision to deploy such massive ordnance. The commander of U.S. forces in Afghanistan, Gen. John Nicholson, said in a statement Thursday that it was the "right munition" to use to destroy the militants' network of tunnels in the area. The region where the strike took place, the restive Achin district, has for nearly two years been the site of fierce fighting between the local Islamic State affiliate, known as Khorasan Province, and U.S and Afghan forces. Afghan officials on Thursday said they were not notified in advance that U.S. forces would be using the bomb, but said the area had long been cleared of most of its civilian residents, and that they supported using heavy firepower against the Islamic State group. According to U.S. officials, most of the members of the local Islamic State branch are Pakistani and Uzbek militants. The group has launched devastating attacks on civilians in the Afghan capital, Kabul, but has struggled to gain a foothold outside its base in the east. Even fighters with the rival Taliban-led insurgency have battled with the extremists. Last week, Army Staff Sgt. Mark R De Alencar, 37, was killed in an operation by U.S. Special Forces in Achin, which is close to the Pakistani border. "We will use whatever force that is available to us," Afghan Defense Ministry spokesman, Mohammad Radmanesh, said following the strike. "And with the maximum amount of caution so that we don't cause civilian casualties." Achin, an agricultural district with a majority ethnic Pashtun population, was once home to roughly 90,000 people, according to Afghanistan's Central Statistics Office. In the two years since Islamic State militants emerged in the area, tens of thousands of residents have fled to neighboring districts and other regions of Afghanistan. It is unclear how many people remain in the district. The Taliban on Friday also issued a statement condemning the strike. Its fighters have been engaged in a years-long insurgency against the government and international forces in Afghanistan. In a message distributed on the instant messaging app Viber, the Taliban said the United States had "no justification" for using such a powerful bomb during combat operations, calling it a "show" by U.S. forces to persuade the world it is battling the Islamic State. Former Afghan President Hamid Karzai posted scathing criticism of the U.S. military on Twitter Thursday, calling the operation a "brutal misuse of our country as [a] testing ground for new and dangerous weapons" and calling on Afghans "to stop" the United States.